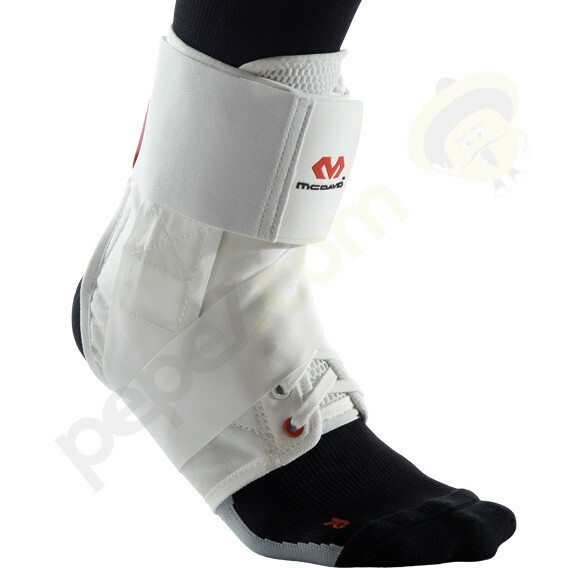 Ultralight Ankle Brace with a ribbon-shaped figure "8"
Mild ankle pain, chronic weak ankles, moderate to severe sprain, ankle instability or prevent injuries. 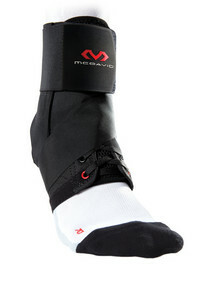 Athletes who participated in an independent study had 3 times less likely to be injured when they wore this brace. This high quality product is made ​​of lightweight nylon-vinyl fabric with tightening belts, whose tension can be adjusted at any time during the game, without the need zouvat shoe. These straps simulate a professional technique of weighting and provide even greater stabilization and protection from common injuries. Other features on the features and amenities include: padded Intera lining, open toe, elastic heel and tongue and sewn hoop. Suitable for right and left leg.